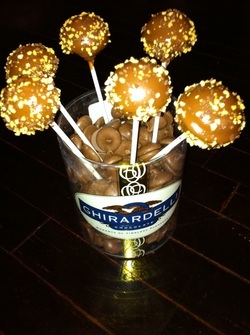 Cake Pops are the newest trend in dessert culture. They can be made into virtually any shape, color and flavor to match your theme or taste. Cake Pops are great for all occasions such as birthday parties, quinceaneras, baby showers, weddings, reception dinners, bridal parties, company parties, reunions, and more. 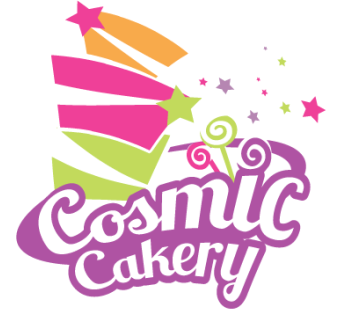 At Cosmic Cakery we individually bake each pop. They are never hand rolled or pressed from scrap cake. We have over a dozen varieties to chose from daily. You can use them as favors, place cards, announcements, or the cake itself. These little bites of heaven will melt in your mouth with no fork or plate required. With less than half the calories of your traditional slice of cake, it is now easier than ever to have your cake and eat it too!